Chris Yiu is a MSc graduate student in computer science at Western University. He has been working with George Gadanidis on math + coding projects over the last 3 years. Inspired by the math + code art of Bill Ralph (Brock University), George Gadanidis & Chris Yiu set out to create a block-based coding environment that kids could use to mathematically control “painting” objects. A sample of the math art is shown below. When we mention the word art, the ideas that jump into your mind are things like paintings, music, poetry, drama, and dance. What about the word math? It might seem odd to consider math and art in the same sentence, but why should they be separated so? We have created an environment that allows users to create works of art through the manipulation of mathematics. The environment is controlled through a block-based coding interface known as Blockly. These coding blocks are flexible in that they allow for both simple and complex control over the objects on the canvas in a simple and straightforward manner. Users may opt to simply manipulate the colour and size of an object, or they may decide to give acceleration, routines, or stepwise instructions to multiple objects. In addition to creating objects and manipulating their properties, objects can interact with one another. 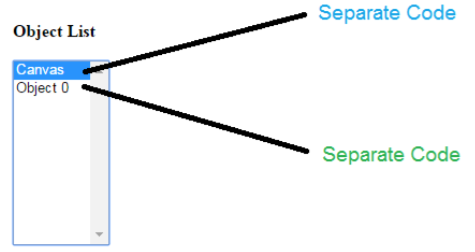 A moving point might contact another moving point and change its colour or direction, while another collision might end in an explosion of colours or spirals. These interactions between objects can produce a more spontaneous and interactive result, giving a fun element of ‘play’ in the process of creation. Perhaps these creations don’t quite fall under the traditional concept of art, but the beauty of art is that it lies within the interpretation of the viewer. It will indeed be nigh impossible to create a Mona Lisa through simple math, but perhaps there is a different beauty that can arise through the manipulation of mathematics. Give it a try at researchideas.ca/wmt/canvas. Use the tutorial below to become familiar with the coding features. Or use the PDF of the tutorial. 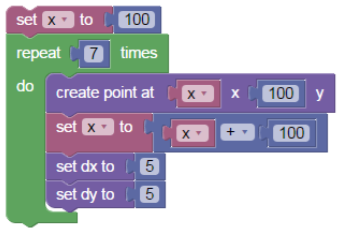 Each ‘object’ has its own blockly code that is saved (and loaded) when you switch between objects. 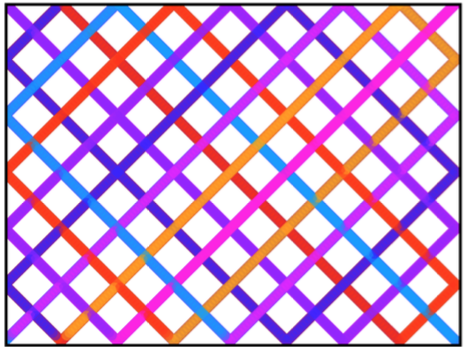 The canvas is an 800×600 grid (length x width), with (0,0) in the top left and (800,600) in the bottom right. 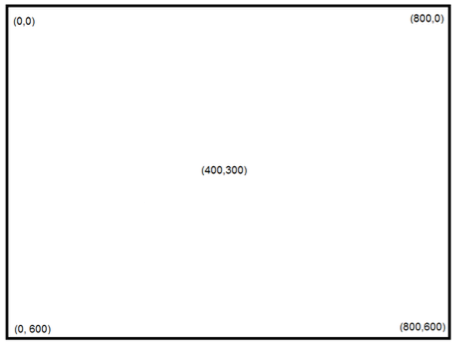 (400,300) is therefore the middle of the canvas. The ‘add object’ button will add a point in a random location with a random colour. 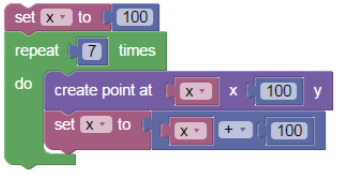 The ‘create point’ blockly code will create a point at a given location, but with a random colour; you may set the colour manually. 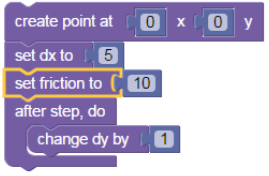 When using the ‘create point’ blockly code, the new(est) point created will be selected after the code is run – it may appear your code has disappeared, but you are looking at the code of the new point (which is empty). Blocks that fall under the ‘Canvas Objects –> Events’ code work on the currently selected object – if you are working the Canvas code, these blocks do not make sense unless you first create a block to apply it to. 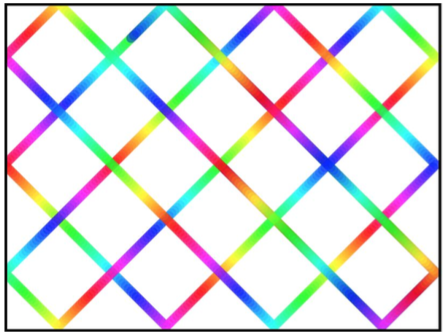 Colour is determined by a Hue/Saturation/Lightness/Alpha selection. Hue ranges from 0-360, while the other attributes range from 0-100. Visit http://hslpicker.com/ for a simple hands on way to see how each attribute affects a colour. Holding alt while hovering over a block will give you a bit more information about it. Let’s start by creating a point in the middle – drag the ‘create point’ block from the ‘Canvas Objects’ category onto the blockly work area, and click ‘Run Code’, which executes any code in the current blockly area. The blockly area will empty, but a point will form on the canvas. Whenever a new point is created, the object list will select the new point which will contain no blockly code. Let’s give our point some motion! Under the ‘Canvas Objects’ category, select the ‘Motion’ subcategory. Here we can set the x and y values of our point, but if we want our point to continuously move, we want to give it a change in its x or y value every step – the dx and dy blocks do just that. Try setting the dx and dy values using the respective blocks in the Motion subcategory, then press Run Code again. Our point should now be bouncing around our canvas. We can also change its appearance using the ‘Appearance’ subcategory – let’s change the hue to red (360) or blue (240). You can mix and match your own colours here: http://hslpicker.com/. Solid colours aren’t quite as interesting as variable ones, so let’s change the colour of the line as we go. Under the Events subcategory, select the after step, do block and place it in the blockly work area. Now go back to the Appearance subcategory, and drag a change hue by block onto the work area, inside of the after step, do block. This will cause the point to change its colour after every step (movement) on the canvas. It looks similar to our first product, but we’ll have more than just one point creating lines this time. Let’s make more than one point this time; clear the canvas and drag a create point block onto the workspace, but don’t run the code yet. We can use some loops to help us duplicate code. Go to the Loops category, and pull out a repeat block onto the workspace like so. You can rename the variable (or create a new one) using the dropdown menu in the set block. Notice we’ve replaced the number value of x in our create point block to the x variable now. However, our variable needs to change after each iteration, so let’s get another set block and put it inside the repeat loop. We’ll add 100 to x each time so that our points are spaced 100 pixels apart (the addition block is found in the Math category). Now our x variable will increase by 100 every time we loop, creating seven points spaced out horizontally by 100 pixels each. Finally, let’s drag in a bit of motion into the mix – we’ll give each point the same dx and dy, but you could always change them later. After step commands allows you to continuously modify a point after each step it makes. In this example we’ll see how to use this command to simulate the effect of gravity. Begin by clearing the canvas, then placing a create object block onto the Blockly area. Let’s set the x and y values to 0 so that the point begins at the top left of the canvas. 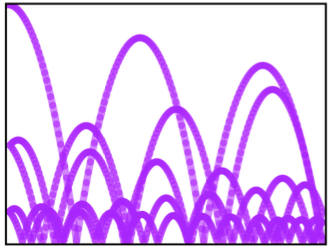 Next let’s give our point some motion along the x axis – set its dx value to 5. This will make the point bounce right to left as it hits the boundaries of the canvas. You can test the code by running it, then clearing the canvas – the code on the canvas is not deleted when the canvas is cleared. Now let’s give it the pull of gravity. Gravity is a constant acceleration down (or towards the center of the Earth), so after every move the point makes wewant it to be moving down the canvas. Begin by opening the Events subcategory in Canvas Objects, and drag the After Step, do block onto the blockly area. This block tells the point to execute all of these commands after each step it makes. We need to tell the point to do something after each step, so we’ll need to put a block inside there. 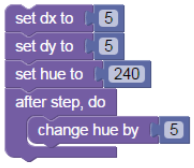 In the motion subcategory, drag a change dy by block inside of the after step, do block. This tells the point that after every step it makes, it needs to increase its dy by 1. By increasing the rate of change of the point’s y value, we are giving it acceleration, which is what gravity is! 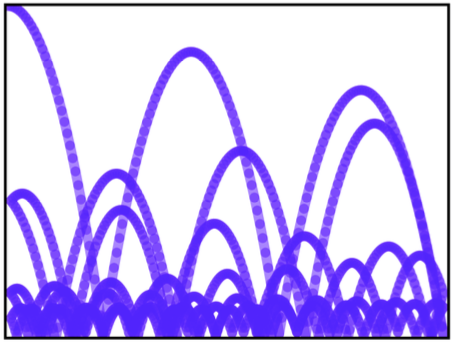 Since a y value of 0 is the top of the canvas and a y value of 600 is the bottom of the canvas, increasing the dy value will cause the point to accelerate down the canvas. It isn’t quite what a falling ball looks like in real life, is it? Our points initially have zero friction – they bounce elastically off of the walls without losing any speed. Let’s try giving our point some friction. First let’s clear the canvas again – you should see the code we were working on appear as we move back to our canvas object. In the motion subcategory, drag a set friction to block onto the work area. That’s a bit closer to what we would expect the path of a bouncing ball to be like. Try changing the friction or the rate of change for dy and see how they affect the result (e.g. a lower rate of change in dy such as 0.1 will give you a more moon-esque bounce!). This will create three points for us at (200, 200), (400, 200), and (600, 200) respectively. If you don’t want to see the line, you can set its opacity to 0 so that it is invisible. Here we’ve simply set the width to 1 to make it quite small. 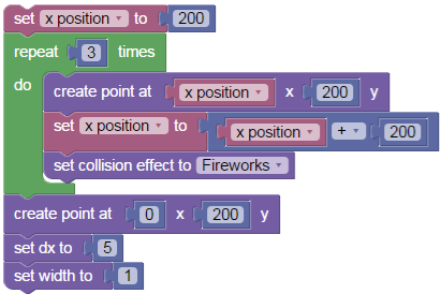 The fireworks subcategory has various attributes that you can modify – try setting some of them by placing the block just after the set collision effect block inside the repeat loop. Spirals work similarly to fireworks, with the obvious exception that they create spirals instead. Check out the next section to see more about them! 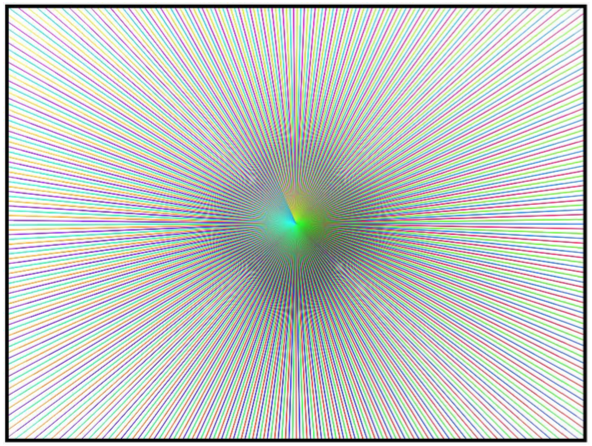 Spirals can be used as effects like the fireworks, but you can also create standalone spirals. Simply drag the create spiral block from the Canvas Effects category onto the workspace to create one. 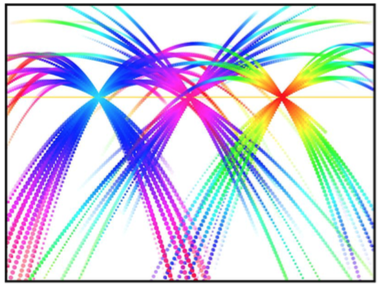 Spirals, like fireworks, have several attributes that you can modify to create different types of spirals. 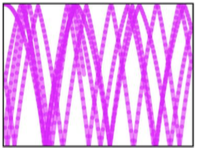 Try modifying some of the properties and see what kind of spirals you can come up with! Here are a few examples.